Many companies the world over struggle with management, analysis of data and synthesis of the data to be able to make sound business decisions. System Analysis and Program Business High-Performance Analytic Appliance, commonly abbreviated as SAP HANA is a system that was developed by SAP technologies to enable companies to analyze their data for making informed business decisions due to its efficiency and storage of data on the system. This report seeks to provide an in-depth analysis of the SAP S/4 HANA system and how it has benefited firms that use the system. This report will, therefore, be in three major parts. First, an overview of what the SAP S/4 HANA Finance technology is and how it works. Second, comparative business analysis of SAP S/4 HANA with SAP ERP FICO. Third, case studies of businesses that use the system, the advantages they reap by using it, the issues they experience and most importantly, the touch of the migration process from the old system to the new technological system (ASUG, 2018). SAP technology firm was founded in the year 1972 by five German nationals. The five had been working in the International Business Machines (IBM) firm and had knowledge on computers, data and systems. As necessity is the mother of invention, they saw a gap in the business world in what they reckoned would be the future of business. They saw a need to develop business and IT integrated systems that would provide real time analysis of business data that would aid businesses in synthesis of data in an automated process. The company has since been producing system products whilst responding to the ever dynamic business environment. The pillars that have seen it revolutionize the business technologies world are flexibility, integration, technological expansion and consolidation of all firm activities among many other. SAP S/4 HANA Finance system is one such milestone project (SAP, 2018). SAP S4 HANA Finance is the new latest technology in the business frontier that was unveiled by SAP technologies in February of 2015. SAP S4 HANA is an abbreviation for System Analysis and Program Business Suite 4 High Performance Analytic Appliance. Unlike previous business models unveiled by SAP technologies, the SAP S/4 HANA was revolutionary in many ways. It uses the memory resident database that is integrated with a new modern system design that have helped boost customer adoption, user-system experience through a simple to use interface with no redundancy and enhanced application of business processes to be able to make informed business decisions. The business world is a world that continually changes, sometimes drastic and other times gradual, and therefore innovation is key to cope with the change in the system. The SAP S/4 HANA system gives a user a competitive edge over competitors because of the application of business models in a way that is accommodative and cognisant of the changing business environment. At the heart of SAP innovations are the integration of internet application, large data volumes analytical software and business networking (ASUG, 2018). Abbreviated as SAP FICO, SAP Financial Accounting Controlling is a system that is a module of the Enterprise Resource Planning. This is a system that helps the company in, as the name suggests, financial accounting. The system has two major parts, the financial accounting component and the controlling component. For the financial accounting, it helps a business in the calculation of balance sheet and profit and loss statements. One enters the transactional data of the firm in terms of sales, assets and all other accounting dimensions after which the system will by itself carry out the calculations. Simply put, it is a system automated version of the manual keeping of books of accounts in a business. For the controlling component, the financial accounting system integrates with it other modules of the systems analysis and programming. The modules consist of systems that keep track of cash flow in various firm segments as well as other firm financial aspects that influence the firm finances. These modules include Sales and Distribution, Plant maintenance, Production Planning and Human Resource. The system in return gives you detailed analysis of the financial standings in terms of cash received, cash payable, asset control and funds consolidation (SAP Training Tutorials, 2018). The main difference that exists between the SAP Financial Accounting and Control system and the SAP S/4 HANA Finance system is that SAP Finance provides a consolidated analysis of data in an integrated way in that it can be used in among other duties, taxation, risk and compliance. SAP FICO on the other hand is mainly to just keep track of all transactional data and generate statements at the end of every financial year. However, both are very important in the planning and forecasting of the business standings in as far as management of finances is concerned. 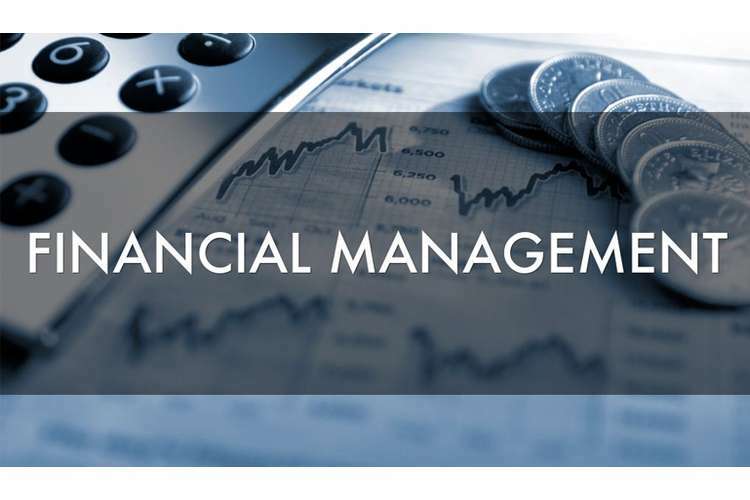 The traditional financial management systems face a lot of challenges. First, manual data entry and analysis hence high risk of errors. Second, uncoordinated sources of data and hence the same cannot be relied upon for predictive planning. Third, no single source of truth. Fourth, limited capabilities to synchronize the data with data from other systems. Fourth, time wastage in manual data entry, analysis and solution of errors. Fifth, postponement of issues when faced with challenging circumstances. Sixth, challenge handling large volumes of data. This is not reliable and the outcome can be compromised due to errors of omission that are easy to make. Seventh, inability to undertake review of the firm’s financial standings. The book balancing is only done at the end of the fiscal year which could be too late to make rectifications on major things that may have been done in the wrong way (Dubler & Bramley, 2016). SAP S/4 HANA Finance is a very important tool in general management of finances from small to large scale firms. Its consolidated nature where there is singe sourcing of financial information is key in ensuring the reliability, accuracy and integrity of the outcome. To be able to evaluate the advantages of the system wholly, it is vital to approach it from the use by different level employees in a firm, the user-system interface and the simplifications of the system from previous finance system versions. First, the system gives the different employees in terms of their hierarchy in the firm different levels of access and ability to access data in the system as well as enables them to undertake different roles. For instance, a company has different high level financial employees each tasked with different aspects of the firm’s financial management. The head of finance in a company can use the system for monitoring and reporting to the board, forecasting, budgeting, profitability and cost management among many other roles. The head of finance is usually responsible for giving the company financial advice as regards the current standing and forecast into the future. The head of corporate reporting handles the aspects of accounting and financial close whereby they deal with matters on entity close, corporate close and financial close disclosure. The corporate treasurer deals with debt and investment management, cash and liquidity management, financial risk management and commodity risk management. The head of finance operations is in charge of receivables management, invoice and travel management. The chief head of compliance deals with international trade management, fraud management and enterprise control management. All of these company heads are able to undertake their duties through the SAP S/4 HANA Finance system which shows that it is a wholesome, consolidated, reliable and synchronized financial management system (Dubler & Bramley, 2016). Second, user-system interface. Regardless of how effective and detailed a system may be, lack of a good, inspiring user interface many jeopardize the use of the system. This may lead to the users to cease using it and resorting to other complimentary systems or worse still, revert to the old financial management systems. SAP S/4 HANA Finance has taken into consideration the user needs and developed the system with the utmost interface simplicity. This has been taken into consideration through, to begin with, elimination of redundancies. Redundancies can make the use of a system cumbersome and can even confuse a user over what has been done and what has not. In addition, a beautiful user interface that has taken into account the simplicity of the system through ease of navigation through the system. The interface is also inspiring through the choice of graphics used and system planning. Moreover, it is convenient due to the integration of the system with the SAP Fiori. Fiori is a new system that was developed by SAP that seeks to provide the users with a revolutionary access of use of the system through access of the system on varying devices through the developing of self-service financial applications. The system can be accessed through various devices from personal computers, tablets and even phones hence making self-service on tasks easy. This boosts convenience of the system since one can access it from whatever place one is in. For instance if the company top management employees go for a retreat to discuss on the company’s management, they can access data on the system easily without the hustle of having to carry personal computers with them. Furthermore, it provides a personalized interface. One can personalize and modify the interface in regards to one’s preferences of news feeds, calls to action and insights (Dubler and Bramley, 2016). Third, innovations that have made the system a hallmark of financial management. There are several innovations that have been employed in the system that have endeared the system to companies. First, singe sourcing of data from stored data through the resident memory database memory used. This has led to harmonization, synchronization and ease of accessibility to the data. Second, through past data in the system, it has enabled form financial planning, forecasting and simulation through integration of planning systems. Third, continuous data processing through enhanced real-time analytics in the system and process artificial intelligence (Dart & Keohan, 2018). Fourth, access of the financial statements before the end of the financial year. In the old financial management systems, it was impossible to get access to close of year activities such as the calculation of profits and losses prior to the ending of the financial period. However, with the SAP S/4 HANA Finance, this is a thing of the past. The advantage is that the vendor management can understand the financial standing of the company at any time and can hence be able to re-strategize to avoid losses and to seal loopholes instead of waiting till the year ends (Chintalapudi, R. and Nandiraju, S. (2018). The process of migrating from traditional financial management systems could be hectic and requiring a lot of resources but it is totally worth it. Migration means a total change of systems from the traditional data structure to new simplified business processes for ease. A company should first transfer all of its financial transactional data to a General Ledger before the systems upgrade. A general ledger contains all the data in one but with classification on the kind of transaction or commodity alongside. The idea is to do away with a myriad of accounts and have one whole synchronized ledger. The migration is also accompanied by the change in structure of data accounting. In addition, several reviews and checks should be conducted prior to the migration. Laws, policies, rules and regulations that govern the new system should be adhered to in full prior to the migration. Simply put, the processes that should be followed are first, through SAP process analysis. Second, laying out of objectives. Third, strategize and develop a clear track map on how to go about it. When considering migration, several things have to be considered. First, how the business functions. Second, how it manages its IT strategies. Third, its commercial models. Fourth, its innovation, adoption and upgrade plans (Dubler & Bramley, 2016). Several companies world over are now shifting towards the SAP S/4 HANA Finance system away from the traditional financial management methods. Some of the very senior companies that have embraced the system include BMW, Adidas Group, Krones, Daimler AG, and Volkswagen AG. It is vital to review a few companies that shifted to the system so as to get a gist of the challenges they experienced and consequently understand their renewed financial management journey post the SAP HANA Finance system (Zedlitz, B. and SAP SE, 2018). Kurlon was founded in the year 1962 and is headquartered in Bengaluru, India. It is a company that deals in a wide range of consumer products from spring, foam, living room accessories and bedroom products such as pillows and bed sheets. It has over a thousand employees and prides in a revenue of about $160 million dollars. With such a huge revenue turnover, it became imminent that an efficient financial management system had to be put into place considering that it has many branches in India and is served by many employees. It therefore decided to use the SAP HANA Finance system which has made the management of finances easy. The company was faced with a myriad of challenges in as far as financial management was concerned. It needed to eliminate all obsolete data in their systems which therefore required that their Information Technology team had to do daily integration which was cumbersome, time consuming and was not efficient. Also, there was a need to speed up financial analysis procedures and thus enhance productivity. They wanted to enhance their innovations and financial flexibility by leveraging the use of technology in their systems so as to automate major processes. They chose SAP because of the centralized access to information, and because of the continuous quality checks that the system offered to their financial system. It was founded in the year 2014 by Gabriel and Daniel Hammond in Los Angeles. It is headquartered in Hollywood, California. It engages with audiences through films showcase and hence this means that they need to have an efficient financial management system that enables them to balance between all the suppliers and as well maintain a low employee number. They also wanted to do away with manual processes that were hectic to maintain and inefficient. They also wanted a system that would compliment with their business model and enhance their growth. SAP HANA Finance was definitely their go to option. The business has enjoyed a number of advantages that come about with the system. The system gave them a fully integrated and unified enterprise resource planning program, enhanced understanding of the firm’s financial standings and hence greater control of the finances (SAP, 2018). Alberta Treasury Branches (ATB) was founded in the year 1938. It is a financial institution that began as a credit giving institution but currently provides a wide range of financial services to citizens and prides itself in serving over 750,000 people in Canada. It has over 5,000 employees with a turnover revenue of $1.5 billion as at 2015. It is undoubtedly a large firm and therefore requires splendid financial management. It chose the SAP HANA Finance system because it provided the company with a clear overview of all the employees at the workplace as well as a record keeping system for the Human Resource department to keep (Murphy, 2017). However, there are several underlying factors that pose as a challenge to the migration of most companies to the SAP HANA Finance system. Most of the challenges border on financial constraints of most firms due to the high costs needed for the installation as well for supplementary services. First, it requires adequate digital and data preparation before the company can use the system. Second, it takes time. It takes a lot of time to install the systems fully till they become operational independently. It took 12 weeks for Broad Green Pictures to install the system and operationalize it. It thus poses a financial strain challenge to small firms that do not have the sufficient funds to finance the SAP system but would want to. Third, complexity. It is a complicated system and firms require to take their IT staff for further training on the same, employ consultants or other staff who will oversee the system. Fourth, challenges that come about due to the digitization of the data which include, rigid processes, optimization of management of licenses needed and the complexity of generating reports especially where large volumes of data are involved. Lack of transparency in the data of the company is also a huge challenge (Fijitsu, 2016). In conclusion, in spite of the various challenges that face the migration procedure, companies must brace themselves to migrate regardless. The future is digital and so should our business systems shift in the same direction. As earlier discussed the SAP S/4 HANA Finance has advantages that help in prudent financial management in a company. First, it provides us with the company with a structured way of handling finances and financial management practices hence decisions made are informed by the analysis of available data. Second, consolidation of data in one system database eases access of data when needed and helps steer clear of obsolete stove-piped information. Third, it in the long term results in the saving of finances due to the fact that employees required to run the different facts will decrease as well as little or no money will be spent on co-ordination of activities. Fourth, the business environment is dynamic and is changing day after day. It is therefore important that firms apply systems that will help them handle them cruse through the dynamic environment with much agility. Fifth, it encourages efficiency. This is because the system is accessible by mobile app development devices from any location. In addition, the quality checks can be done on the company’s finances at any period unlike in the traditional system where it only could be done at the end of the fiscal year. Businesses should, therefore, consider shifting to the new digital finance models since it is the future (Fijitsu, 2016). 5. Chintalapudi, R. and Nandiraju, S. (2018). Highly Successful SAP S/4HANA Finance: Smooth Upgrade, Live Analytics and Rapid Close. The ASUG Education Zone. 6. Dart, J. and Keohan, S. (2018). Fast Fresh and Flexible SAP Fiori Elements. SAP SE. 7. Zedlitz, B. and SAP SE (2018). Finance Migration and Deployment Options with SAP S/4HANA. The ASUG Education Zone. 10. Murphy, K. (2017). ATB Financial Banks on Team Members. Insider Profiles, 8(01). 12. Dubler, C. and Bramley, E. (2016). The S/4HANA Business Case: Finance. ASUG.